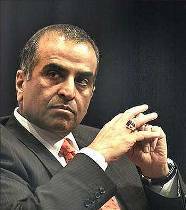 The Supreme Court on Tuesday agreed to hear Bharti Cellular Limited CMD Sunil Bharti Mittal's plea challenging the March 19 order of the special court summoning him as an accused in a corruption case related to allocation of additional 2G spectrum during the 2002 NDA regime. The matter was brought before the apex court during mentioning time in which the counsel appearing for Mittal sought an early hearing as he has been summoned to be present in the 2G court on April 11. Mittal, whose name was not mentioned in the CBI's charge sheet as an accused, was summoned by the special court saying there were "enough material" to proceed against him in the case. Special CBI judge O P Saini had also summoned two others -- Essar Group promoter Ravi Ruia, who was then a director in one of accused company Sterling Cellular Ltd, and Asim Ghosh, then MD of accused firm Hutchison Max Telecom Pvt Ltd -- whose name were not mentioned in the charge sheet. CBI had filed the charge sheet on December 21 last year against former Telecom Secretary Shyamal Ghosh and three telecom firms -- Bharti Cellular Ltd, Hutchison Max Telecom Pvt Ltd (now known as Vodafone India Ltd) and Sterling Cellular Ltd (now known as Vodafone Mobile Service Ltd). They all were also summoned for April 11 by the court. The court had said that Mittal, Ruia and Asim Ghosh were "prima facie" in "control of affairs" of their companies which were named in the charge sheet by the CBI in the case.